A thousand Turkish diplomats and civil servants are among the 15,654 people who have sought asylum in Germany since the failed coup in 2016. The figures exclude fugitive Turkish soldiers. 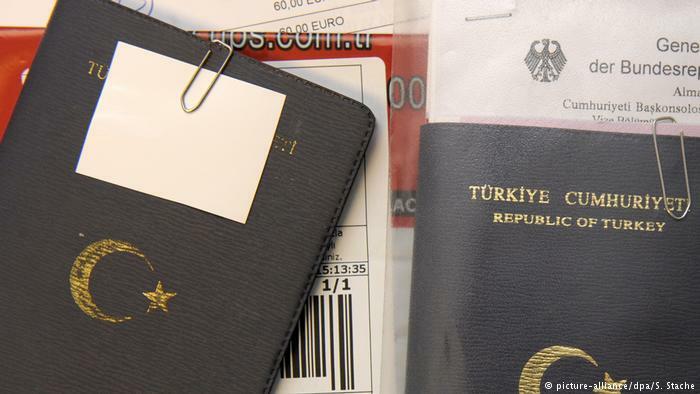 Germany’s Federal Agency for Migration and Refugees (BAMF) disclosed Sunday that 288 holders of Turkish diplomatic passports and 771 Turkish “green” (civil service) passports had sought asylum in Germany from 2016 until early March 2018. The count included the applicants’ children, said the Nuremburg-based BAMF, adding that its tally did not include asylum-seeking Turkish soldiers. On the back of the July 2016 attempt, Turkish President Recep Tayyip Erdogan suspended or fired around 150,000 civil servants, and jailed some 50,000 people, claiming that a one-time ally, US-resident preacher Fethulah Gulen, was behind the failed coup. Ankara has also called for Europe to send back Turkish asylum-seekers allegedly aligned with Kurdish militants. Updating its tally to 15,654 for all Turks who had sought asylum in Germany since 2016, BAMF said some 8,500 did so last year and 5,700 in 2016. More than 1,400 people had applied up to the end of February this year, the agency added. The number of applications approved rose during 2017 from eight to 28 percent, and so far in 2018 climbed to 42 percent of those applying to stay in Germany, BAMF said. Two German-Turkish journalists, Hüseyin Topel and Fatih Aktürk, said asylum applicants were assisted across Germany by a diverse network of individuals, of both German and Turkish origin. Despite Turkey’s recent release of Die Welt correspondent Deniz Yücel, a political sea-change inside Turkey was not evident, Topel and Aktürk remarked. “Whoever comments critically about the [Turkish] government or government members is branded as a national traitor,” said Topel. A fugitive Turkish lawyer, who reportedly spent six months in Turkish custody, was identified by DPA as 43-year-old Murat T. He described how he and his wife sought help only within Germany via trusted intermediaries: “We avoid the Turkish community, which has long lived here [in Germany]. Otherwise, we cannot be sure to avoid someone betraying us to the [Turkish] government,” said Murat. “We were spied upon, lost good old friends, and were denounced as alleged Gulen supporters,” she added. A third asylum-seeker, identified as Canan A., a teacher, told DPA that practical assistance, such as for recognition of his academic qualification, was provided via Christian church circles. “I’ve been helped a lot by the Diakonie,” Canan said, referring to the nationwide social welfare network run by Germany’s Protestant churches. Canan said he and his wife wanted to stay and contribute their talents in Germany. Democracy in Turkey had been “shredded,” its opposition intimidated and the country also faced economic ruin, Canan told DPA.